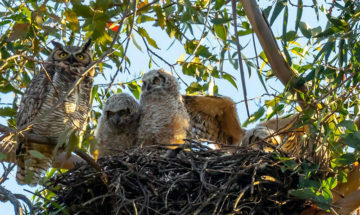 If you are interested in becoming a Wild About Ojai participating business member please contact Tania Parker, Director of Advancement, to set up an appointment at (805) 649-6852 x 6, or tania@ovlc.org. 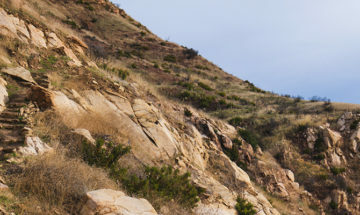 At this meeting you will receive valuable information on how Wild About Ojai can fit perfectly into your business and all the materials you need to get started. Below are some links and documents that will be shared at this meeting. Feel free to visit these pages or download and review these documents beforehand if you wish. This is your comprehensive overview of how the program works, basics on how to sign up, and information about how the OVLC will help you in the process. 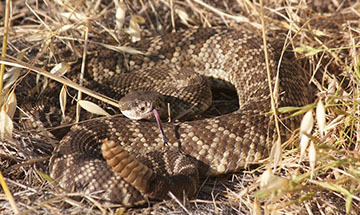 This information may also be found throughout the Wild About Ojai section of our website. Here is a list of our current participating businesses. You will be added to this list and your business will be given its own page on our website when you join. 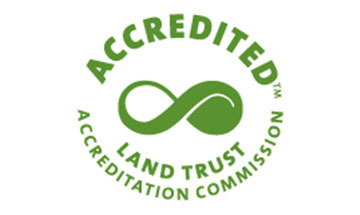 The Ojai Valley Land Conservancy has permanently protected over 2,300 acres of open space through direct ownership and conservation agreements. 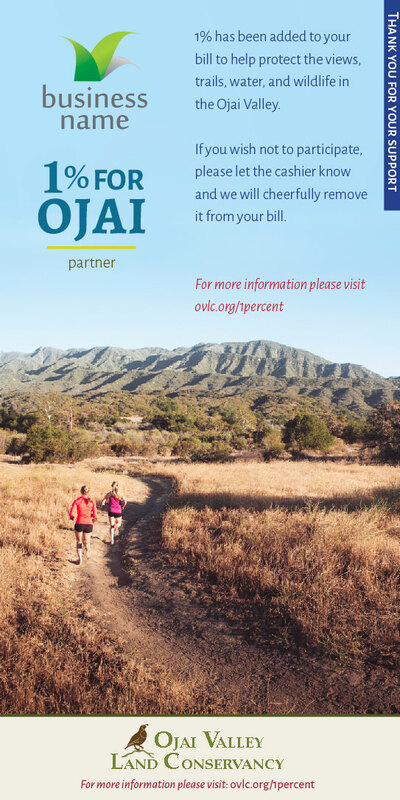 The vast majority of this land is managed for public access through the support of businesses like yours in the Wild About Ojai program. This page shows a map of these open space preserves as well as links to each of the individual preserves where you will find information, trail maps, and directions to trailheads. Each participating business completes an agreement outlining the logistics of the program and specifying how OVLC can best support your business. 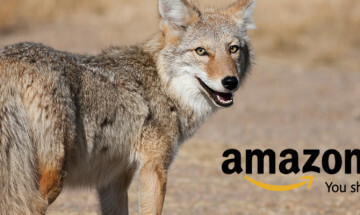 You can do this agreement online, or by filling out the physical agreement. One copy remains with you and one copy is sent to the OVLC office. 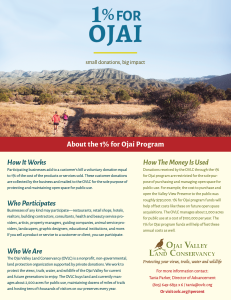 The following information and tools will be helpful in getting your business up and running in the Wild About Ojai program. When your supplies need to be replenished, simply contact Tania Parker to request these materials. 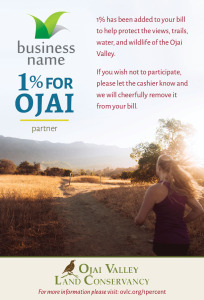 As a Wild About Ojai business you will need to post two signs in a publicly visible location in your physical place of business. Below are our current three options for signs. Contact Tania Parker to get free personalized versions of these signs with your business’ logo on them. This sign is the most preferred for small spaces or framed next to the register. 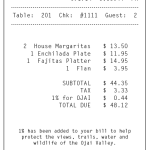 Restaurants predominately use this sign to insert in their check covers, but it is available for other uses as well. This is the best sign to put in your front window or door for customer notification of your participation in the program. It is printed on clear vinyl with the logo pictured below. This document is meant to place in an accessible location for your employees as a quick reference for questions they might encounter from your customers, and they may give the sheet to customers as well. 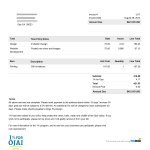 Our participants do business both through receipts and through invoicing. 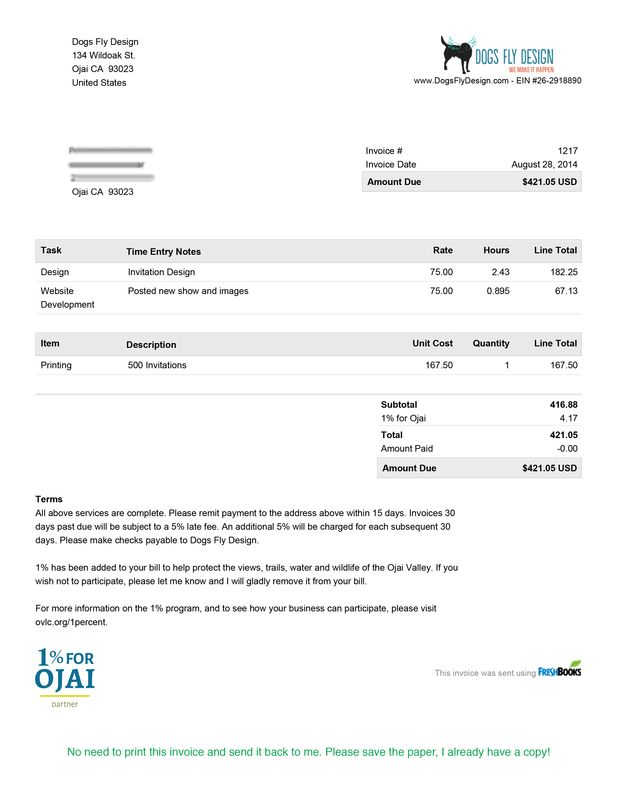 Here are a sample invoice and receipt to demonstrate how you can easily add the Wild About Ojai donation option to your pre-existing templates. 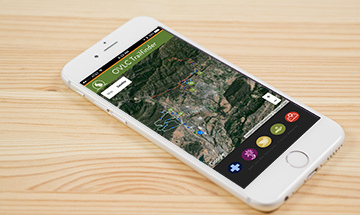 As a participating business we encourage you to place our Wild About Ojai logo with a link on your website. 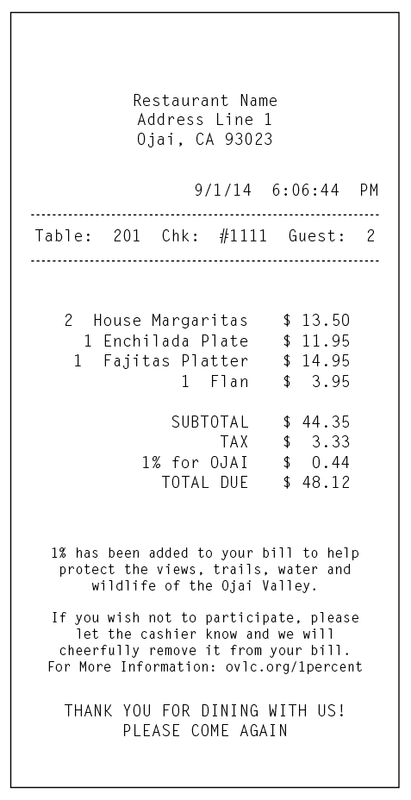 The Wild About Ojai descriptions below are a collection of short paragraphs you may use for this purpose. 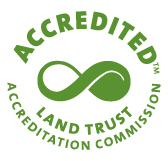 Please feel free to adjust the wording to fit your particular needs and use our web address ovlc.org/wildaboutojai/. Additionally, you may contact Tania Parker to assist you with your wording. 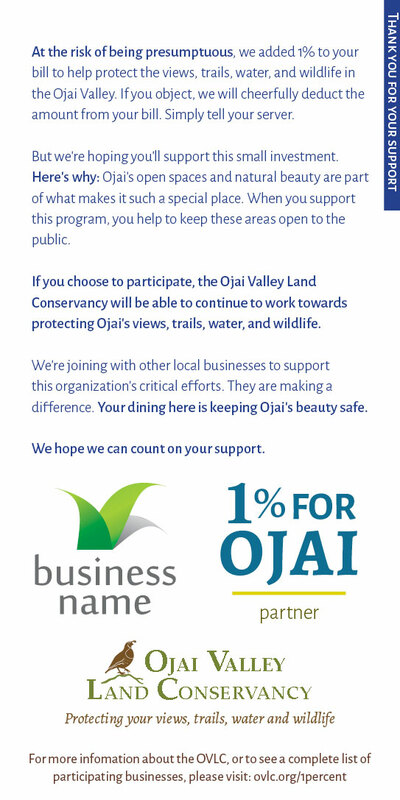 Option #1: This business proudly participates in the Wild About Ojai program, a group of businesses committed to the protection and management of open space for public access in the Ojai Valley. 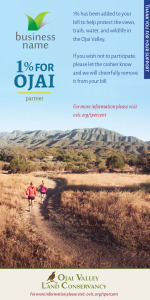 As a participating Wild About Ojai business, donations we collect help do just that. Option #2: Wild About Ojai raises funds for open space protection and management in the Ojai Valley solely through the participating businesses who request a voluntary 1% donation from customers on top of products and services. 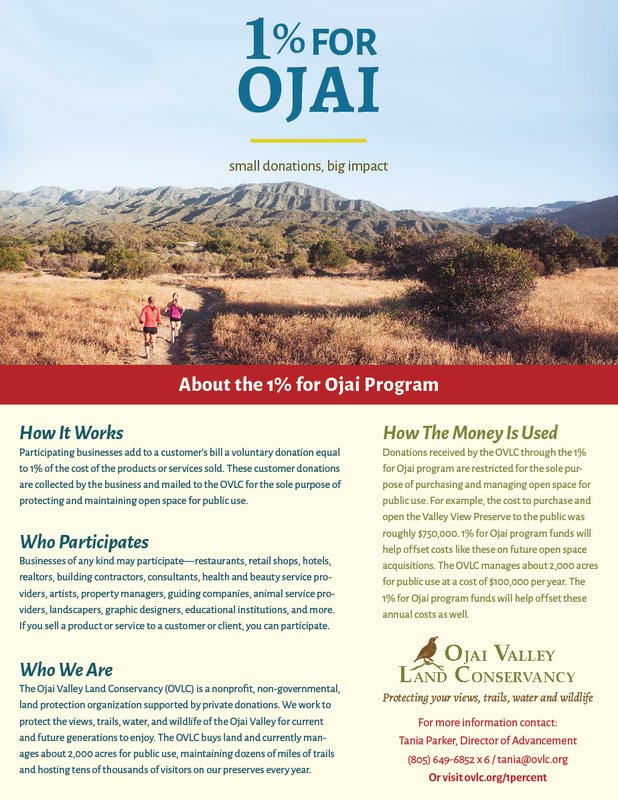 The Wild About Ojai donations fund acquisitions of open space like the Valley View Preserve, and help offset the costs of managing this property for public use. 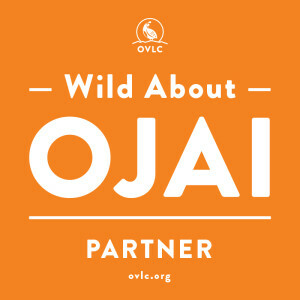 When putting Wild About Ojai on your website, ads, brochures and other media please contact Tania for the needed version of the Wild About Ojai logo.